12oz 90mm PLA lined single wall hot cup from Ecoware. Lids separate (90mm). 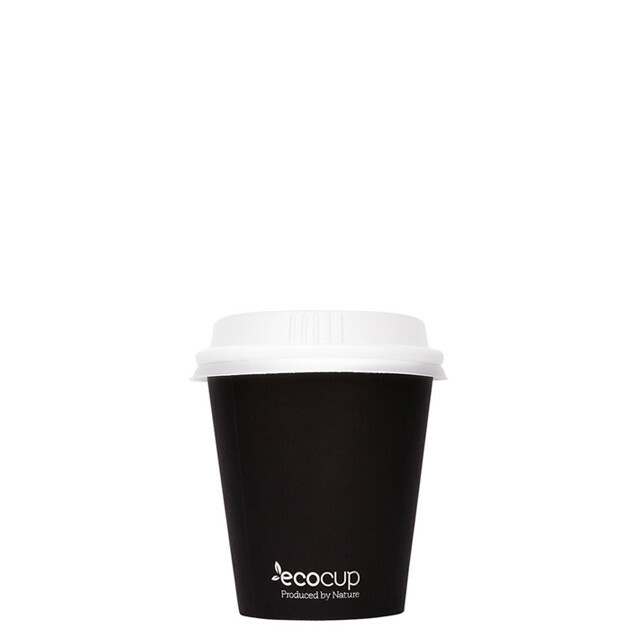 Made with paper sourced from responsibly managed plantations and an inner-wall coated with plant-based Ingeo bioplastic, EcoCups are a sustainable coffee cup option that maintains exceptional performance with superior insulation. 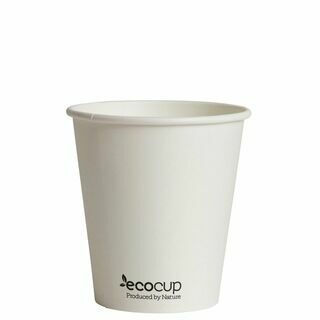 6oz 80mm UniCup PLA lined single wall hot cup from Ecoware. Lid separate (use 80mm). 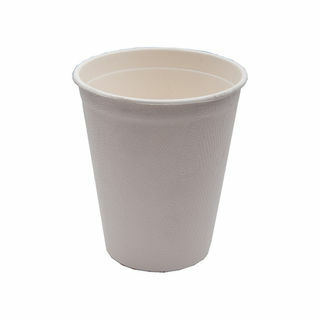 12oz PLA lined single wall hot cup from Ecoware. Lids separate. Colour Series - carton comes with a mixture of 4 colours. 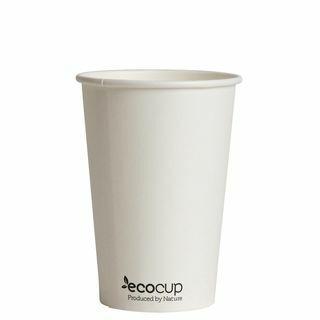 White 12oz PLA lined single wall hot cup from Ecoware. 6oz PLA lined single wall hot cup from Ecoware. Lid separate. 8oz PLA lined single wall hot cup from Ecoware. Lid separate. Also avail in White, Kraft, Black Green print and with Collection print. 8oz PLA lined single wall hot cup from Ecoware. 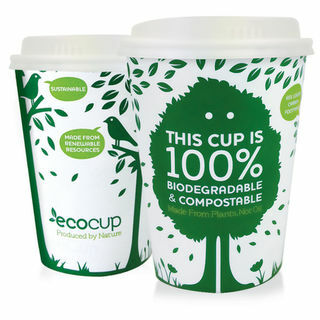 Coffee Cups made with paper sourced from responsibly managed plantations and an inner-wall coated with plant-based bioplastic, EcoCups are a sustainable coffee cup option that maintains exceptional performance with superior insulation. 8oz single wall hot cup/coffee cup 80mm. 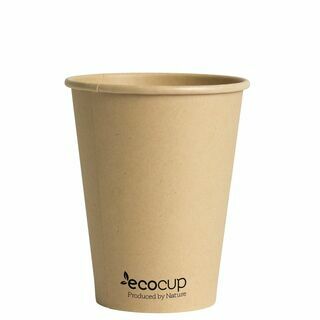 Biodegradable and commercially compostable. 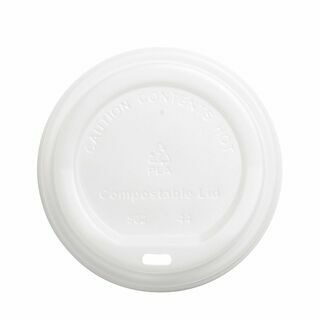 Compostable Hot Cup Lid for Ecoware 8oz unicup, 12oz &16oz cups. 90mm. 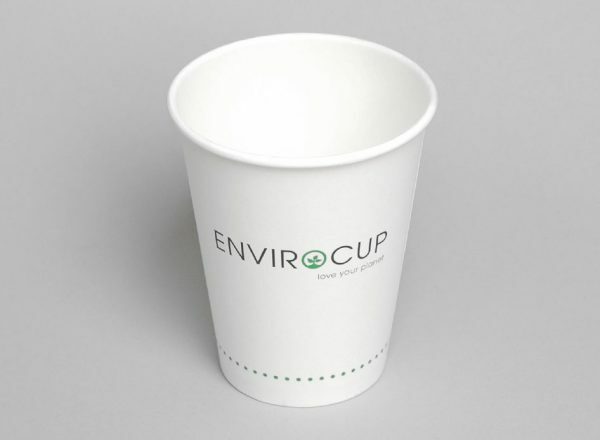 EcoCup - "It's not your everyday coffee cup"
Our coffee cup extras have been designed and developed specifically for our EcoCup range to ensure a superior drinking experience for your customers. Our robust product development process ensures a secure lid fit and leak proof drinking time after time. Our plant-based lid is made from naturally advanced Ingeo™ providing a significantly lower carbon footprint than the fossil fuel based polymers that it replaces, because the manufacture of Ingeo™ emits fewer greenhouse gasses (GHGs) than the comparable manufacture of all common petrochemical-based plastic1. 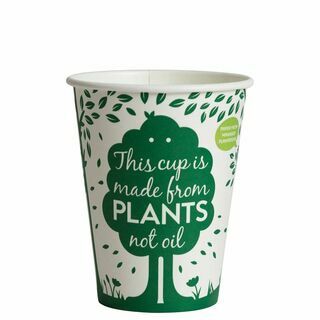 The innovation of turning plants into plastic, allows us to exclude non-renewable resources (such as oil) from the production of our EcoCup clear cup line. 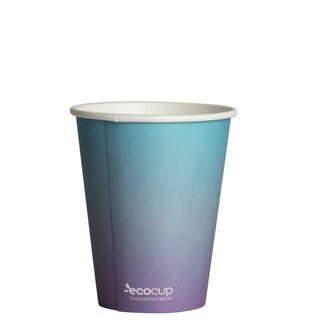 Lids PE for Coastal 8 oz hot cup and ripple cup. Sugar Cane Bio-Cup - Hot Cup 260ml/8oz. Lids not available. 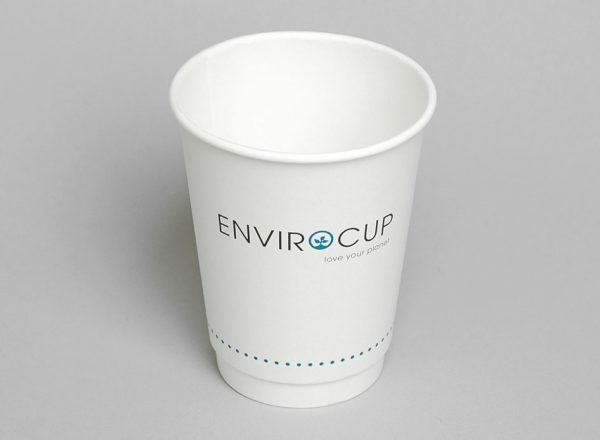 Our Compostable Cup is friendly to the environment when discarded. This tableware is made from a natural plant fibre that comes from sugar cane. This product does not have a PLA liner. 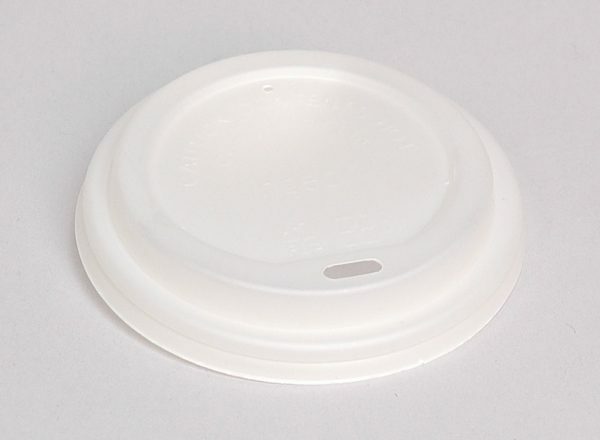 12oz 90mm PLA lined single wall hot cup from Ecoware. Lids separate (use 90mm). Also avail in White, Kraft, Green print and with Collection print. 8oz PLA lined single wall hot cup from Ecoware. Lid separate (80mm see link below). Also avail in White, Black, Green print and with Collection print. 4oz PLA lined single wall hot cup from Ecoware. 60mm.